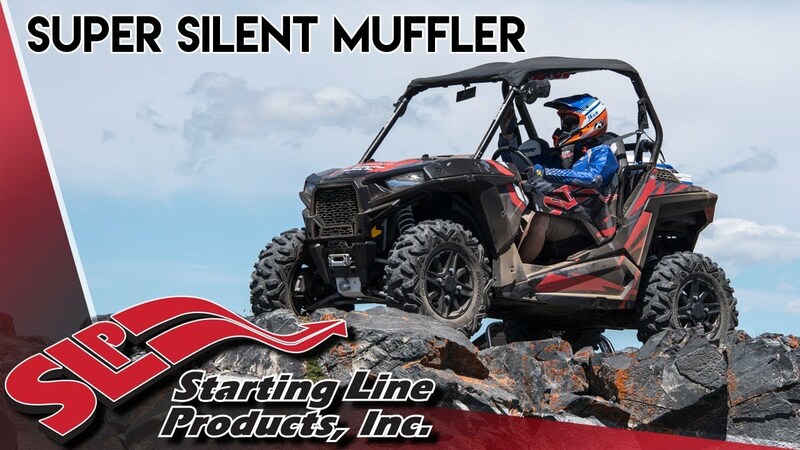 Super Silent™ Muffler for 2015-19 900 RZR 4 as well as 900 RZR / S and XC models with accessory bumpers or 6 point roll cages. With an exhaust tone that is 3 dB quieter than stock at cruising speeds, this muffler provides a much more relaxing experience when using your Trail, S or XC 900. Idle sound levels are also more subtle with a 2 dB reduction compared to stock! 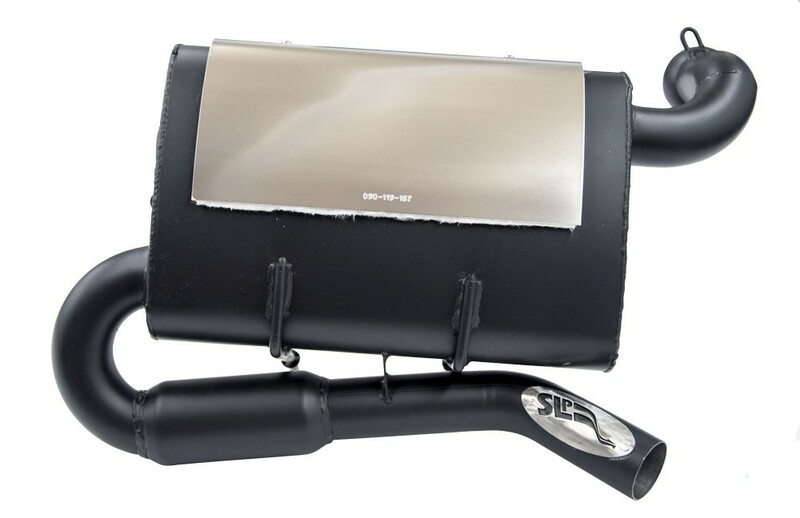 This muffler has superior fit and finish, with fully welded construction for excellent durability. It also comes with black ceramic coating (and an aluminum heat shield) to minimize radiant heat and give it a great look. It will reuse the stock spark arrestor and has also been flow tested and field verified to ensure optimum performance with a quieter exhaust note.